Ambient’s Quality Assurance Assessment consists of a full review of your overall software development process. Our quality assurance analysts will review your existing documentation, perform stakeholder interviews, and generate a report that outlines a path for improvement. Your written report includes: a description of your current QA practices, a comparison of those practices against industry best practices, and a list of recommended QA processes, test strategies and automated tools and tests to help you better manage your projects and build high quality applications. 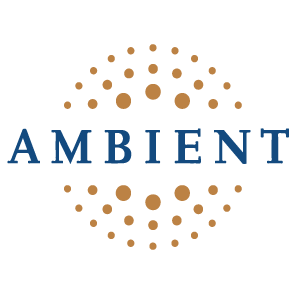 Ambient’s Portfolio Management Service helps your organization effectively select, implement, and utilize an enterprise Project Portfolio Management (PPM) tool. Experienced PPM experts work side by side with your organization to evaluate organizational readiness, establish an operational PPM vision, define high level activities for achieving goals, select a PPM vendor based on your needs, implement a PPM tool, and ensure user adoption. Ambient’s Business Process Management Service helps your organization create effective and efficient business processes that guide technology decisions and outcomes. The Business Process Management Service begins with seasoned consultants who will review your existing business process documentation and interview key stakeholders to determine a business process baseline for your organization. Then, the consultants apply business process best practices and facilitate business process management workshops for your team. Finally, the group will document the future state business process models. Ambient’s Organizational Change Management Service ensures that your process and technology improvements are quickly and easily adopted throughout the organization. Our Organizational Change Management consultants start by examining your processes and culture to create a baseline. From this baseline, communication, succession, and training plans are developed. Finally, these plans are utilized by experienced facilitators to help your organization evolve smoothly. The final outcome is successful adoption, increased organizational efficiencies, nd better use of resources. ©2019 Ambient Consulting. All Rights Reserved.